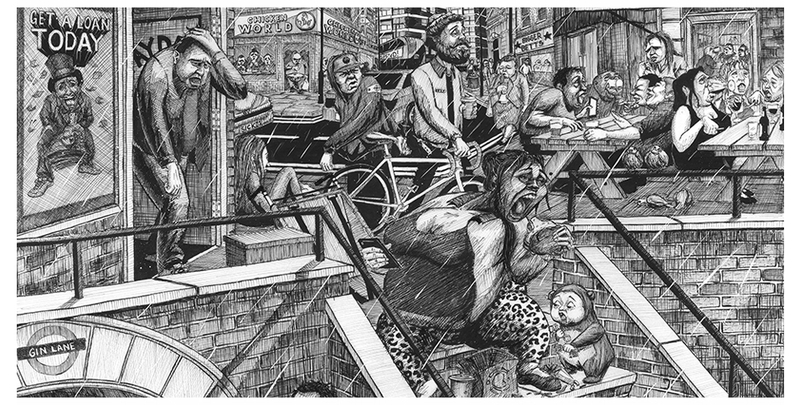 Gin Lane 2016 is a modern day interpretation of William Hogarth’s famous cartoon: Gin Lane (1751). The piece was commissioned by the Royal Society For Public Health to commemorate their 160th anniversary. 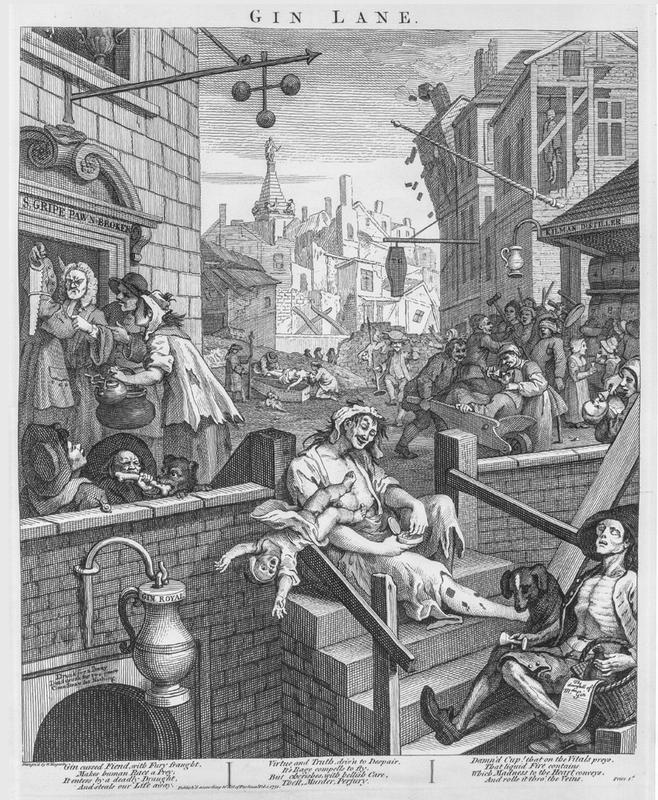 Hogarth’s Gin Lane was a re ection of the public health issues of the day. 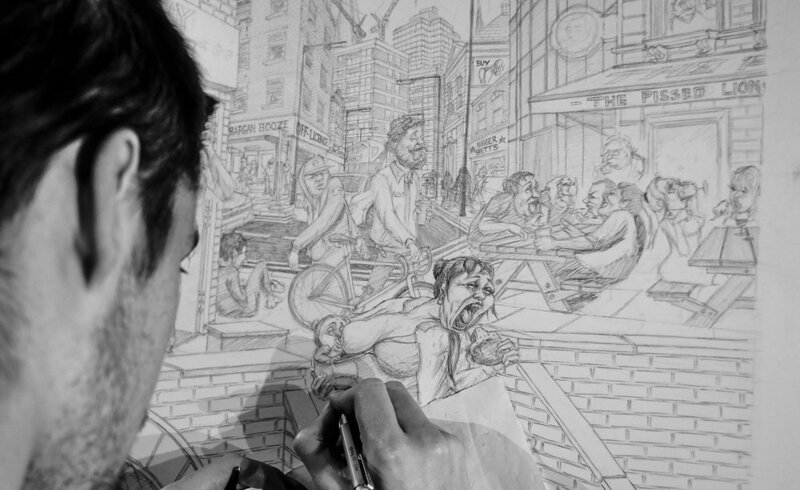 His piece gave us an insight into the horrors of the gin crisis that plagued London at the time. Gin Lane 2016 re ects the current public health issues, the main one being obesity and mental health. The piece gained considerable press coverage, including the BBC News website and almost all major newspapers. Thomas was interviewed by John Humphrys on BBC Radio Four’s Today Programme. 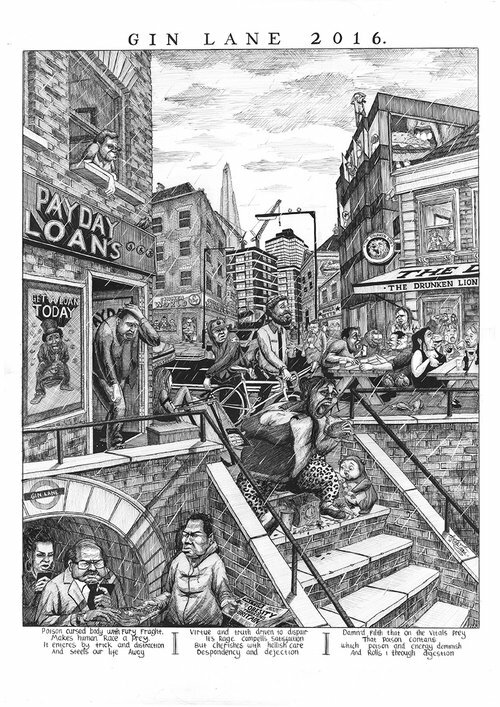 Gin Lane 2016 was exhibited next to Hogarth’s original Gin Lane at the Foundling Museum.